What gifts are right for you? There are many ways to give through the Southeast Virginia Community Foundation (“SEVACF”). We understand that each charitable donation is unique and your philanthropic interests are specific to you and your family. Whether you want to make a one-time donation or establish a permanent charitable legacy, virtually any asset can be used to make an impact. You can make a charitable gift of cash, stocks, bonds, real estate or other assets to SEVACF. Most charitable gifts qualify for maximum tax advantage under federal law. A gift of cash is the simplest way to give. 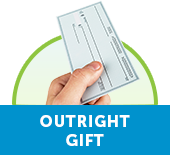 Cash gifts are fully deductible up to 50 percent of the donor’s adjusted gross income in any one year. Deduction amounts exceeding this limit may be carried forward for up to five additional years. Your gift of stock is reinvested in our community, and it qualifies for an immediate tax deduction based on the market value. You can avoid capital gains taxes that would be due as a result of its sale and establish a charitable fund that benefits the local causes an organizations you care most about. You can turn your property’s value into community good by making a gift of real estate to SEVACF. The value of your real estate may exceed that of any other asset you own. You may choose to give real estate outright and receive an immediate tax deduction, or retain the use of the property during your lifetime and make a planned gift to your SEVACF. A gift of real estate must be professionally appraised to establish its fair market value. It is also assessed for compliance with our acceptance policies to make sure its resale will provide the appropriate value to the community. Want to make a lasting gift to the community? We are always happy to help you choose a giving technique that works best for you. We encourage you to discuss your options with us and your professional advisor(s). Including a charitable bequest in your will is a simple way to make a lasting gift to your community. When you make this gift through SEVACF, we establish a special fund that benefits the community forever and becomes your personal legacy of giving. In doing so you leave a permanent bequest to your community, while enjoying the assets you need to maintain your current lifestyle. Plus, you are able to distribute some or all of your assets, tax free. You can give cash, appreciated stocks, or other assets. You can choose to give a stated dollar amount, a specific property, a percentage of your estate, the remainder after distributions to other beneficiaries, or you can make your gift contingent on certain events. You can decide to do it at any age by adding to an existing will or drafting a new one. A Charitable Remainder Trust offers you a great deal of flexibility. Payments may be made to you or another beneficiary for life, or a specified number of years. Giving through a charitable remainder trust allows you to receive income for the rest of your life, knowing that whatever remains will benefit your community. You transfer assets into a trust, and the trust pays you, or a beneficiary you designate, regular income payments. Upon the beneficiary’s death or after a defined period of years, the remaining assets in the trust transfer to SEVACF. You may choose to receive a fixed income or one that changes with market conditions – income from the charitable remainder trust you establish may add up to more than interest and dividends you earned from holding the assets. The amount of annuity paid and the tax deduction received depends on the age of the recipient and the current annuity rate (as established by the Internal Revenue Service). Pays the donor or others a designated percentage of the assets for a specified period of time, making the income variable. Additional contributions are permitted. Pays the donor or designee a fixed dollar amount for a specified period of time. All assets must be contributed at inception, and no additional gifts are allowed. Payments are fixed, even if the value of the trust fluctuates. A Charitable Lead Trust enables you to make significant charitable gifts now while transferring substantial assets to beneficiaries later. A charitable lead trust helps you build a charitable fund with SEVACF during the trust’s term. When the trust terminates, the remaining assets are transferred to you or your heirs, often with significant transfer-tax savings. You transfer assets into a trust, which pays SEVACF an annual amount to build a charitable fund. During its term, the trust can be managed expertly by experienced trust professionals, which may help your trust investments grow over time. When the trust terminates, either upon your death or after a specified number of years, its final assets are transferred to those you designate; any growth in the trust passes to recipients at a reduced tax cost – sometimes even tax-free. A charitable lead trust shelters investment earnings from tax, and it offers gift, estate, and generation-skipping tax benefits. 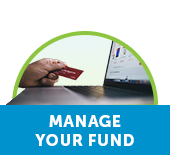 Pays the fund you establish or a particular endowment at SEVACF a designated percentage of the assets for a specified period, making the income variable. Additional contributions are allowed. Pays to the fund you establish or a particular endowment at SEVACF a fixed dollar amount for a specified period. All assets must be contributed at inception, and no additional gifts are permitted. Payments are fixed, even if the value of the trust fluctuates. A Charitable Gift Annuity is a contract in which a donor makes a gift today in return for a fixed lifetime annuity from SEVACF. The donor receives a tax deduction on the net value of the gift. The annuity is payable to the donor or someone they designate, called the “annuitant.” Up to two annuitants can be named. Through the contract, the donor directs the remaining balance left at the death of the annuitant(s) to establish a new or supplement an existing fund at SEVACF. Life insurance provides a simple way for you to give a significant gift to charity, with tax benefits that you can enjoy during your lifetime. You can use regular payments from a charitable remainder trust to establish an irrevocable life insurance trust. The trust can purchase insurance on your life to benefit your heirs. This way, you can make a gift to SEVACF and replace the value of this gift within your estate with life insurance proceeds. Individual Retirement Accounts (IRAs) or other qualified retirement plans are often one of the best types of assets to leave to charity because they are taxed so heavily when left to heirs. When you leave retirement plan assets to a non-profit – such as SEVACF – one hundred percent of the gift will be available to support your charitable interests. To learn more about IRA Charitable Distributions, click here. Creating a charitable fund at SEVACF is a great way to establish a philanthropic legacy because it allows you to give now and in the future. There are plenty of ways to help further our mission without breaking the bank – it just takes a few minutes to get started and take advantage of spending you are already doing. 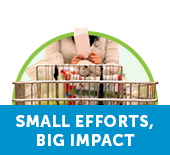 Did you know that you can support your community foundation just by shopping at Kroger? Well, you can! Anyone with a Kroger Plus Card can contribute by enrolling in the program and selecting the Southeast Virginia Community Foundation as their charity to support. Once your Plus Card is linked to SEVACF, we’ll begin earning money each time you shop at Kroger and swipe your card. Fund-raising for your community foundation has never been easier! Visit www.kroger.com/communityrewards and enter organization number 81295 to begin earning rewards for SEVACF! Support SEVACF every time you shop on Amazon with AmazonSmile! When you shop with AmazonSmile, you’ll find the exact same low prices, vast selection and convenient shopping experience as Amazon.com, with the added bonus that Amazon will donate a portion of the purchase price to SEVACF. It’s a simple and automatic way for you to support your favorite charitable organization every time you shop, at no cost to you. Visit www.smile.amazon.com to begin earning rewards for SEVACF! Our goal is to make it easy for you to give and to put your charitable wishes into action. 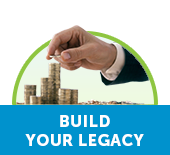 The purpose of this website is to provide general gift, estate, and financial planning information. The Southeast Virginia Community Foundation is not engaged in providing legal or tax counsel. For advice or assistance in specific cases or whether to make certain a contemplated gift fits well into your overall circumstances and planning, the services of an attorney or other professional advisor should be obtained.